Dr. Dennis Cantwell, O.D., was first introduced to vision therapy during his first year as an undergraduate in college at the University of Connecticut. His interest was not sparked through classwork, though, as you might expect. His two younger brothers had been having troubles in school, had been avoiding their reading assignments, and rarely read for pleasure. Dr. Cantwell’s parents were concerned and surprised because their family had always been full of avid readers. The family found their way to Drs. Henry Quick and Stephen Solomon, both developmental optometrists, who diagnosed the boys with vision problems and prescribed vision therapy. Dr. Cantwell watched as his brothers’ work improved markedly during their course of vision therapy sessions. At the time, he expected to study dentistry following receipt of his undergraduate degree in Biology. However, after developmental optometry affected him in such a personal way, he began to consider a change of course. After discussing his goals with Dr. Solomon, who was by this time a personal friend, Dr. Cantwell applied to and eventually enrolled in post-graduate studies at the New England College of Optometry. During his residency, he requested as many vision therapy rotations as he could. Following licensure, he went directly into Developmental Optometry and is thrilled to now help others as Drs. Solomon and Quick had helped his own family. 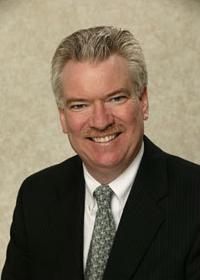 Dr. Cantwell is continually motivated by the same satisfaction he gained from his brothers’ achievements years ago. He is motivated by a desire to help children excel in all areas of life by identifying and remedying commonly overlooked problems. In 1996, he earned board certification in developmental optometry and vision therapy and the prestigious title of Fellow of the College of Optometrists in Vision Development.